Here's where to watch every episode of Barnaby Jones season 1. Mouseover or tap an episode to see where to stream it. Click or tap the play icon to stream it on the best available service. Requiem for a Son Jan 28, 1973 After his private detective son Hal Jones is shot, retired Barnaby Jones decides to solve the murder with the help of Frank Cannon. They find out that Hal was working for Terry McCormack, who seeks a career in politics but is blackmailed now. To Catch a Dead Man Feb 4, 1973 Wealthy married Philip Carlyle persuades unwitting Mike Hartney to sail his cabin cruiser with a time bomb aboard. After the explosion Phil is believed to be dead and can begin a new life with his mistress Diane. Julie hires Barnaby to search for her friend Mike. 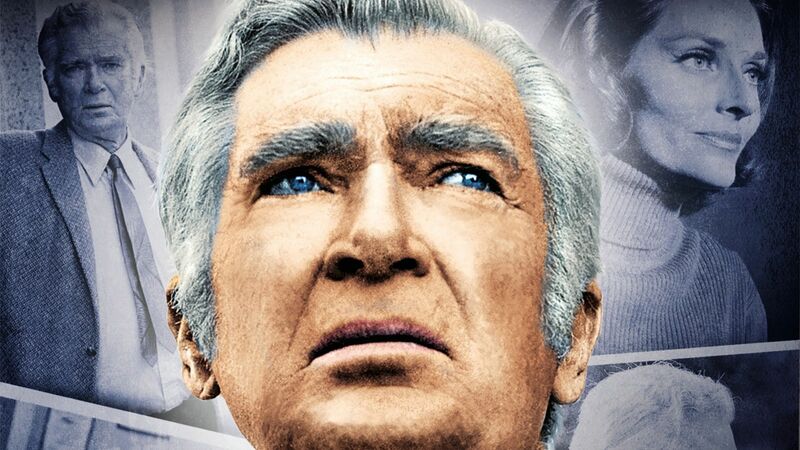 Sunday: Doomsday Feb 25, 1973 Just released Howard Lee meditates revenge on Barnaby Jones who put him into prison. He sends a funeral wreath, predicts Barnaby's death on Sunday and is constantly watching him. When Betty finally finds out who threatens Barnaby she falls into Lee's hands. The Murdering Class Mar 4, 1973 When caught stealing exam questions Paul accidentally kills George Enright. His friend Charles Lomax makes it look like a drunken George stole money and fell to death. When Barnaby is hired to investigate, Charles drops false clues that point to Ron Fannon. Perchance to Kill Mar 11, 1973 Tony Bloom accuses his associate Steve Kingston of a theft and of having an affair with his wife. Steve kills Tony pretending an assault by two hippies. Barnaby is hired to find Christie and her hippy friend Eric who will be arrested under suspicion of murder. The Loose Connection Mar 18, 1973 Barnaby travels to Baja California with Eleanor to find her father. Way back his car is damaged in an accident. Unwittingly he has been used as heroin courier. He calls Eleanor to account and they let themselves in for a dangerous gamble with the dope pushers. Murder in the Doll's House Mar 25, 1973 While working on a revealing book Harry Doyle is killed. Looking for the missing writer and his manuscript Barnaby meets Harry's friend Nancy. Finally he spots the missing pages in the doll's house of Craig Woodridge's aunt. Does Craig have a shady past? Sing a Song of Murder Apr 1, 1973 When rock music star Rick Michaels accidentally falls into his empty pool his girl friend April thinks he is dead. Rick's managers Rooney and Paige believe the same and fearing for their salary they feign a kidnapping. Barnaby searches for April, who disappeared. See Some Evil...Do Some Evil Apr 8, 1973 Harry Warren is shot by Stanley Lambert, the seemingly blind pianist at ""The Offside"" club. Barnaby finds out that larger amounts from Warren's account did not go to his mistress Jenny. He tries to expose Stanley as a person with eyesight and a blackmailer. Murder-Go-Round Apr 15, 1973 Nick Gorman, who tries in vain to meet Johnny Arthur, is killed in a hit-and-run accident. Barnaby poses as a man on a fishing trip to investigate. The townspeople Flory, Johnson, Spake and Rile draw lots on who should kill Barnaby. They all acquired sudden wealth. To Denise, With Love and Murder Apr 22, 1973 Alex Chandler kills his mistress Denise during a quarrel, because she talked to his rich wife Hazel hoping to encourage a divorce. A disappointed Hazel leaves home and as she does not return her brother hires Barnaby to find out whether Alex murdered Hazel. A Little Glory, a Little Death Apr 29, 1973 Gloria overhears aging movie star Jason Craig's involvement in drug smuggling. Her blackmail threat leads to her death and Jason pushes her car over a cliff. Her daughter Doris hires Barnaby, who is put out of action. Jones tells Doris to disguise as Gloria. Twenty Million Alibis May 6, 1973 During a TV talk show presenting his memoirs former jewel thief Tony Neill plans to steal a diamond necklace unnoticed during a break. He succeeds, but kills the butler. Barnaby is hired by an insurance company to find jewelry and asks Neill for advice.